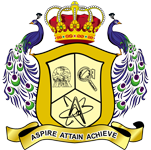 AAA College of Engineering and Technology and Puthiyathalaimurai TV jointly organizes Science Exhibition for Polytechnic Students on 19.12.2018 @ AAA College Campus. Mr. S. Muthu, Tamil writer and a scientist working at the Satish Dhawan Space Centre is the chief guest for the function. Cash Prizes worth of Rs. 50,000 awarded for the best projects. Registration is free for all the Participants.